Hey there! Thanks for dropping by Electronics Club Fans! Take a look around and grab the RSS feed to stay updated. See you around! Among the final amplifier we called. Regional Power Amp, will it work on several well-known as Class A, Class B, Class AB etc. Each class of the above, to honor the Class A was superior to the sound quality. best. However, class A power output to a low of 20 percent compared with a loss of power or the power consumption of about 5 times the power output. Therefore, the problem of heat Although it has not paid any audio. But anyway, despite the low-watt power, it also provides crystal clear sound quality than Class B and Class AB. 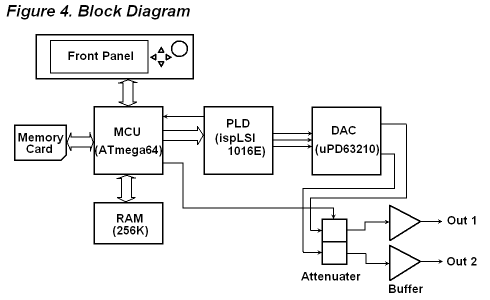 Principles of integrated amplifier class A is IC1 – NE5532 to extend signal input through the C1 to increase 15-fold. The signal output from the pin 1, signal hemisphere positive through C2 to access Q1-BD139 and Q3-2N3055. is powered by Darling ton, amplifiers and signal the intensification of the negative side of C3 through the amplifier with the Q2-BD140 and Q4-MJ2955. This is the Darling ton, too. Then the output signal from the positive side of the pin E of the Q3 and the negative side of the pin out of the E in Q4 through R10 and R11, to prevent short circuits and then output to the speakers. This will power up to 5 watts. The D1-D4 acts as a rectifier in the DC bias for Q1 and Q2. And VR1 is adjusted to a constant current bias is at work. The Q1-Q4 will be attached sheet cooled, Q3 and Q4, especially the thermal plate must be large. Because the circuit has high energy loss. How can i reduce it ? The following CD4017 circuits have not been tested and is presented here as a possibility only. If you experiment with this circuit, please send me any problems found so that the circuit can be updated. The following circuits are designed to change the duration of each positive output pulse from the astable timer. The circuits use a CD4017 Decade Counter / Decoder to provide nine or ten steps in the cycle. The first circuit operates with a repeating ten step cycle. Each output pulse is longer than the previous until a count of ten is reached at which time the cycle will repeat. The second circuit has a nine step cycle that stops at the end of the cycle. The cycle is restarted or reset when the RESET input is briefly made high. The CD4017 can be configured to give count lengths between 1 and 10. Refer to the timing diagram in the CD4017 data sheet for a better understanding of the IC’s operation. fixed-point digital, signal processor, LQFP-144, -0.3 V to 4.0 V Supply voltage, -0.3 V to 4.5 V Output voltage TMS320VC5402PGE100 absolute maximum ratings: (1)Supply voltage I/O range, DVDD: -0.3 V to 4.0 V; (2)Supply voltage core range, CVDD: -0.3 V to 2.4 V; (3)Input voltage range, VI: -0.3 V to 4.5 V; (4)Output voltage range, VO: -0.3 V to 4.5 V; (5)Operating case temperature range, TC: -40℃ to 100℃; (6)Storage temperature range, Tstg: -55℃ to 150℃. TMS320VC5402PGE100 features: (1)Advanced Multibus Architecture With Three Separate 16-Bit Data Memory Buses and One Program Memory Bus; (2)4K x 16-Bit On-Chip ROM; (3)16K x 16-Bit Dual-Access On-Chip RAM; (4)Single-Instruction-Repeat and Block-Repeat Operations for Program Code; (5)Block-Memory-Move Instructions for Efficient Program and Data Management; (6)Instructions With a 32-Bit Long Word Operand; (7)Instructions With Two- or Three-Operand Reads; (8)Arithmetic Instructions With Parallel Store and Parallel Load; (9)Conditional Store Instructions; (10)Fast Return From Interrupt; (11)CLKOUT Off Control to Disable CLKOUT. The TMS320VC5402PGE100 fixed-point, digital signal processor (DSP) (hereafter referred to as the 5402 unless otherwise specified) is based on an advanced modified Harvard architecture that has one program memory bus and three data memory buses. This processor provides an arithmetic logic unit (ALU) with a high degree of parallelism, application-specific hardware logic, on-chip memory, and additional on-chip peripherals. The basis of the operational flexibility and speed of this DSP is a highly specialized instruction set. I know how to build a big digit but how the heck did you control that much current with such few ICs and such few control lines? Ahh, I’m glad you asked. Here are some fun pointers about how to control large numbers of seven segments LEDs. Now if you’re not a hardware person, get ready for some technical jargon. A PIC 16F877A has quite a few I/O pins (around 32). But if you start doing the math, you see just how limited we are. Sure, we could find a microcontroller that has 42 available I/O pins, but there’s got to be a better way! This is actually an age-old problem. Turns out there are chips out there! The 74HC4511 is the magical chip that takes a Binary-Coded-Decimal (BCD) input and outputs the correct pins to create that binary number on a seven-segment display. You can see four Control lines. This is the BCD bus. There is also six Driver lines. These Driver lines activate the latch on each ‘channel’. U6 is the 74HC4511. U7 is a ULN2003A. JP1 is the RJ45 jack. Just stick with me a bit longer! The ULN2003A is a high-current Darlington array. Darling what? This IC has seven channels. Each channel can control up to 500mA. When 1B goes high, current is allowed from the ‘1C’ input to ground. Okay so now for the chain of events. The PIC parses out the GPS time from NMEA sentences coming out of the Lassen iQ receiver at 4800bps. The PIC decides that the time is 6:45:33, so a ‘3’ needs to be displayed on channel 1. A binary three (0b.0011) is put onto the bus. Driver1 is pulled low, then driven high. Because all other driver lines are kept high, the other drivers ignore this bus data. The 74HC4511 for channel 1 sees this binary number, notices that it’s been latched, and then outputs the correct segments to light up a three. Segments A, B, C, D, and G go high. The ULN2003A detects these lines (Num1_a, b, c, d and g), goes high and allows current to sink through 3C, 4C, 5C, 6C, and 2C. The LED Light Bars inside the digit (located farthest to the right) light up the correct bars to display a three. It’s really pretty slick. The system is completely scalable. To add another seven-segment display requires only one additional I/O pin for another DriverX line. The PIC 16F877A could control as many as 28 digits. Have you ever seen 28 digits next to each other? How about 18″ wide and on a wall? That’s really huge. That’s it! Sorry the tutorial ended up being so long. This project took about two weeks of cutting and figuring out how to best create the digits. The firmware took about an hour and hardware layout took about three (we’ve used most of the basic components before). Let us know what you think. This is one application circuit of LM324N,If you need more circuits,please download LM324N’s pdf datasheet. An ATmega64 is used for the controller. The MCU has an external memory interface, it benefits the applications that require a certain memory. The waveform data is loaded from a memory card and stored it to the wavetable located in the 256 Kbit external memory. The wavetable, 16 bit word, 8192 samples and two channels, fits to the entire memory. The system clock is supplied from DAC. The frequency exceeds maximun allowable working frequency of the MCU, however it works with no problem. Microlab ATX 400w KA7500 Power supply micro lab 400watt atx ka7500 lm339 2sc2625 st3040 st1020 sbl2040 microlab atx 400w 2sc5027 fr107 2sc5344y atx tamir şema atx smps circuit, atx smps repair schema. Normally begin to learn about electronics power supply from the battery, for example, 9 volts, 1.5 volts, 6 volts etc. But there are disadvantage that when using battery power is discharged. I need to buy a new one. Consume more. We should the dc power supply have a choice of AC voltage. Which it must provide a output voltage as usage often is 1.5volt, 3 volts, 4.5 volts, 6v, 9v, and the current is about 1 A. When we view many circuit ideas, found that the as figure this below (number second the power supply projects in my life) have the best fit. We use a dc voltage regulator number LM317T is the heart of the circuit. Featured, is the constant voltage. Low noise. Almost equal to the voltage of the battery. And short-circuit protection as well. – Then this current flow through the bridge diode model (D1-D4)-1N4001 to full wave rectifire as DC current and through C1 to filter current to smooth up and has C2 filter ripple signal before into LM317. -LED to display power on the circuit, with R1(2K) currents to reduce it. – The output voltage is determined by rotating a selector switch S2 a level voltage 1.5,3,4.5,5,6,9 volts respectively. – C3 (10uF)- help to reduce the ripple before is amplified when the output voltage rise up. – C4 (0.1uF) reduce the ripple at output. – D5 and D6(1N4001) for protects IC1 from discharging of C3 and C5 respectively. In case the input of IC1 is shorted. The maximum output current about 1.5A depends on size of the transformer We sould choose size of 2A., Or size 1A for those who want to 1A output current only. Using long wires through workshops or buildings connected to the precious computer’s ground line is not the greatest idea concerning EMI and noise impact as well as operators’ safety. A system with separated grounds, the 1-wire-bus isolated from the USB and the computer, would improve reliability and availability of that measuring system even under influence of electrical noise, lightning or ground voltage disturbances. The isolated transfer of power uses a transformer and rectifier assembly, here build with a digital bus driver circuit 74HC245 and a 1:1:1 ferrite transformer (3 identical windings). This provides low power, high efficiency and utilisation of readily-available low-cost parts. The transfer of RS232 information uses high speed optocouplers 6N136. A low-cost hex Schmitt inverter HCMOS IC 74HC14 is used on the isolated side for the processing of the filtered 1-Wire-signals and LED drive to reduce the overall component count.